Brace yourself people…this is the easiest, heartiest, most crowd pleasing meal I think I’ve ever blogged. I know…you’re totally intrigued, right? Your mind will be blown by its simplicity and it’s deliciousness. 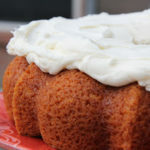 I stumbled onto this recipe while flipping through a Gooseberry Patch cookbook (of course!) and made it for some friends one night. It was a huge hit, so I decided to make it for some friends who had just had a baby boy…they called me after they ate it and loved it…and then I made it for some other friends who had twin girls and received the same comments. So…when you see how easy it is, you will totally be making it too. Simple and delicious…my two favorite adjectives. 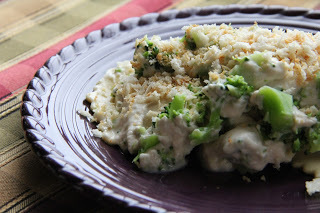 Layer in a 9×13 baking dish, ravioli, broccoli, Alfredo sauce and milk. Cover with foil and bake 30 minutes. Meanwhile, mix together in a small bowl your Panko (or breadcrumbs), Parmesan and Italian seasoning. After the 30 minutes is up, remove the foil and spread your breadcrumb mixture over the top. Pop the casserole back in the oven uncovered and bake another 15 minutes or until slightly brown and bubbly. That’s it! You just layer everything on top of each other and bake it. No chopping, boiling, cooking or whatnot. Keep your broccoli frozen when you layer it…that makes things even simpler. You don’t have to use sausage ravioli…it’s just what we like at our house. Whatever tortellini or ravioli you see at your grocery store that sounds good to you, use. (They have 3 cheese blends, chicken, spinach…whatever you like!) This is the perfect meal to make in a snap…and it tastes really good too. Dinner tonight is a winner! you've got me sold on this because i have everything already at home! those are MY KIND of meals! last night we had the slow cooker stroganoff – OMG so GOOD. husband said it was one of his favorite meals ever! score! Hi Shay! What kind of alfredo sauce do you use? I've had a hard time finding a good one. Thanks! I used Newman's Own. It's delicious!! Um, are you kidding me? This sounds amazing! Right up my alley. 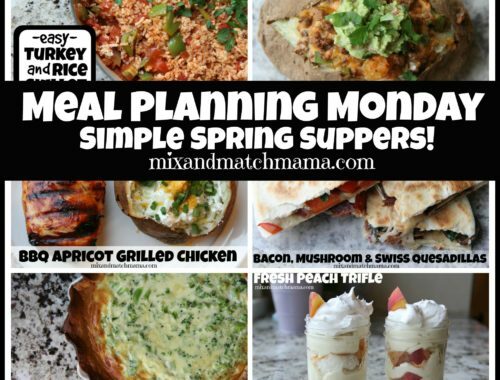 Adding it to next week's meal plan!!! Hi Shay! I am fairly new to your blog and I love it! 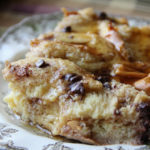 I've tried several recipes and they have all been a big hit with my hubby and 2 little boys. Where do I find the sausage ravioli? I've never noticed it grocery shopping . Thanks! I have seen it in two places…either in the deli meats section (by the Lunchables and such) or by the pesto and hummus. I've also seen it at places like Costco and Sam's. You can substitute with a different type of ravioli if you like (chicken, spinach or cheese). Hi Shay! I am fairly new to your blog and I love it! 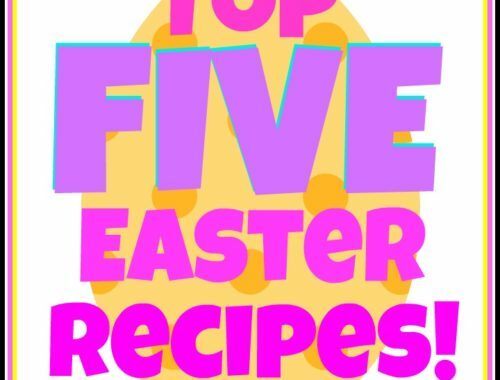 I've tried several recipes and they have all been a big hit with my hubby and 2 little boys. Where do I find sausage ravioli? I haven't noticed it in the grocery before. Thanks! Has anyone tried this with a cup of heavy cream instead of milk? I've made it four times with milk but I can only imagine heavy cream would be delicious! Try it and let me know!! I used half and half, found italian seasoned PANKO bread crumbs by progresso, and chicken raviolis. It was delish! Thanks for the idea. I loved not having to BOIL the pasta. Thanks for the recipe! Do you think this would work with marinara sauce? Thanks! 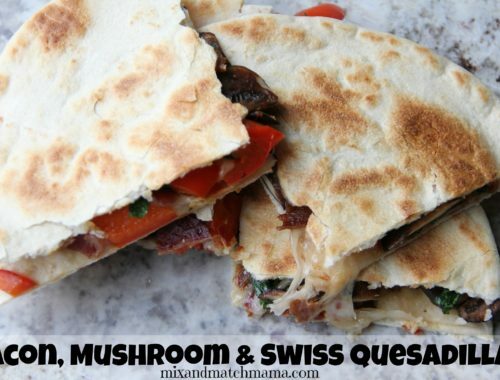 You can totally mix and match this with marinara sauce instead! That would be delicious too! I am making mine with mushroom ravioli I found at trader joes and am then adding sausage that I cut up and pan fried! This can't be real! I just put this together to cook later today for a friend whose 1 yr old son just had fairly major surgery. It took 2 seconds. I can't believe it! I'm taking them this with one of your bundt cakes and also Leslie's Mexican Casserole for another night. Your recipes are just so easy! Oh yes, another yummy recipe to try! Thank you! Hey Shay! Is this a dish that can be made ahead and put in the freezer for later in the week? Looks delicious! Could you use fresh broccoli as well? Thanks!